The AFL's All Australian team was announced back in September this year. State of Origin football is in a long hiatus - but theoretical State teams are announced each year - the Big Footy Forum has a selection of user submitted teams here for 2016. They take in Victoria, South Australia, Western Australia as well as an Allies team (NT, Tasmania, ACT, Queensland and NSW). But what about the rest of the world? If the Rest of the World were to play against any of the teams above, what is the best team they could muster? We have determined eligibility along the line of the International Cup eligibility rules and we have named the 2016 World Team (so this does not include foreign born but Australian raised players). Irishman Pearce Hanley has been named captain of the 2016 team despite what was perhaps a below par year by his standards at the Brisbane Lions. He will of course hope to return to form in 2017 with his new club the Gold Coast Suns. As with the International Cup the coach can be Australian but should have a strong link with international football. This year we have selected the coaches of the Indonesian Garudas that won the Indochina cup against China and Indochina in Vietnam. In addition to those currently on AFL lists (including International Scholarships) we have named the o'hAilpin brothers who have dominated for a third year running in the Ovens and Murray Football League (and were formerly on AFL lists). Mick Finn the Irish International Cup captain continued his great form for Heidelberg in the Northern Football League in their premiership season and again has been selected. Also among the emergencies named are AFL Europe players Mikkel Kjoege, Sam Willatt and Josip Habljak who all made state league lists in Australia in 2016. Today marks 10 years since World Footy News ran its first story. Since then WFN has published nearly 4700 stories, at a bit over one per day. The most popular in terms of reads is the review of the 2002 International Cup with over 167000 views. The site was founded in 2004 by Aaron Richard and myself when we saw a void in reporting on the growth of the international side of Australian football. Just as we are now, we were keen to see the sport grow both in Australia and around the globe and wanted to support the international leagues, raise awareness in Australia of their efforts, and help with the cross-pollination of ideas to build a successful world footy community. Back then there were far less club and league websites, Facebook was in its first full year but just open to US college students, and social media probably only meant journalists having a chat together. worldfootynews.com is pleased to announce that we are now allowing users to log into our site via their Facebook account. We hope this encourages more reader interaction and commenting. Simply click the "Login with Facebook" logo on the left hand side of worldfootynews.com and follow the prompts (assuming you are not already logged in to worldfootynews.com already). Please note that we anticipate some issues with this method, such as increased spam, so it's quite possible we'll revoke this feature at some time in the future. Also note that existing users who have already created a worldfootynews.com account previously will find that if they now login using Facebook it is in effect a separate account with no history of their previous contributions. Please note that worldfootynews.com has been undergoing a significant software upgrade over the last few days. This should be complete by around Thursday 12th June. The only major change that should be apparent to readers is that when they are logged in the My Account section is available from the menu across the top of the page. If you notice any problems please log in and let us know or you can contact us on Facebook at worldfooty. World Footy News welcomes aboard a new sponsor - Tribal Sport, headed by David Lake, International Cup coach of Papua New Guinea as well as QAFL club Morningside and previously coach of Mt Gravatt in the NEAFL. Here Tribal Sport discusses their origins and a deal on offer to all countries competing at the 2014 AFL International Cup. The brand Tribal Sport was built on serving the Sporting Communities of the Pacific - Supporting the players, the volunteers and fans so that they too could send their message to competitors about their Pride, Heritage and Culture. The gear is made with all those things in mind as we attempt to accentuate the virtues of the participants from these regions. As they have developed and supported the brand in the Pacific we have now taken our place in the Australian market as a key supplier to all the different sports AFL, Rugby, Netball, Cricket, etc. 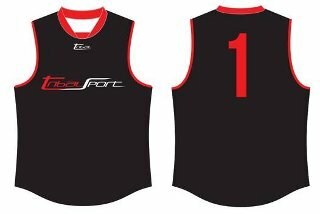 As we continue to form key alliances in the Australian and South Pacific markets we look to strengthen our position as a key supplier in the supply of Sportswear to clubs/schools and corporates. With the upcoming IC14 coming along in August this season we are looking to further expand our brand through Australian Football teams across the World. What better way than to offer starter deals so you can get your country's team looking its best. Click on the Tribal Sports banner link to view the deals we have put together for you. If you can’t see what you want please contact us on mytribe@tribalsport.com.au and tell us how we can best give you what you need for your country. So far it's ‘welcome to the tribe’ Papua New Guinea and Tonga. We look forward to making our brand at Tribal your vehicle to success at the upcoming IC14. Please note that worldfootynews.com server maintenance is now complete. WFN has updated its unofficial World Rankings after the recent 2011 AFL International Cup. With so many matches played (54) there was quite a bit of movement on the ladder, and 4 teams moved into full ranking status for the first time (Tonga, India, China and the Peace Team). Ireland's unbeaten tournament was enough to push them up into 2nd, making them effectively the number 1 contender to Australia. Papua New Guinea, so often runner-up in the IC, slip down one spot to 3rd. Tonga impressively debut in the top 10. There are now 19 fully ranked sides and 6 provisionally ranked nations (yet to play 8 eligible games). Apologies for the site disruption today. We were well aware we would exceed out monthly quota due to the growing popularity of the international footy and we requested an extension well in advance. Unfortunately our web provider had a key person ill and of course for us the timing was most unlucky. We wish that person a speedy and full recovery as they have always provided our site with excellent service and he is a greater supporter of footy. The good news is we should be back on track now and look forward to bringing you match reports from today's games and will be back in action live on Friday for the major finals. One innovation you may have missed was live audio commentary from 3 matches today (the men's big semi finals and Canada vs Japan) by Troy Thompson. We'll let you know if he brings out the golden tonsils again on Friday and Saturday.